Landing pages are the windows to your website. On them there needs to be a number of things to ensure both users and search engines can find, understand and use what it is they came looking for. This includes meta titles, well structured URLs and the of course, content. Without content your site would be an empty shell, and the key to good content – in the past – has been keywords. Sure, they’re still very important, considering they’re the link between your potential customers’ search queries and your website. So how many keywords is too many? How many should you have and what can you do if you have too many, or few currently? As a general rule of thumb, never force keywords into your content. This is very important as it might not have the desired effect on the search engines or your browsers. Misinformation, irrelevant posts crammed with keywords, and content that reads badly will instantly deter any visitors to your site, and add enough keywords to a page and Google will devalue your page and your rankings will suffer as a result. A keyword per paragraph, naturally incorporated, is ideal. It will tie your meta data, your users’ searches and your relevant pages together and create a good, predictable user experience. It’s about getting users the information they are looking for, without forcing the issue. As with everything, it’s all completely dependent on your site and customers, so test a few different approaches before settling on a strategy. This is because no two sites are the same, and neither are their potential customers. Examine your content and objectively decide whether it’s accurate and whether it tells customers what they would expect to find out when they do land on the page. 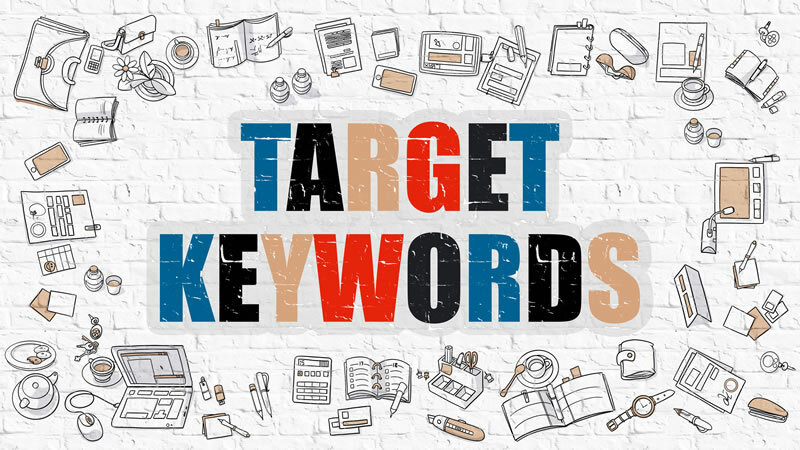 If you are finding that you have too few keywords, add more content, and a couple of extra keywords to correct it. If you feel like you have too many keywords and that you content reads spammy, remember that when it comes to information and getting your point across online, less is more. Say what needs to be said quickly, concisely, and without fluff. Rewrite your content and omit unnecessary instances of key terms, this will be better for customers and search engines. https://www.drivetraffic.agency/wp-content/uploads/2019/01/Blog-Target-Keywords.jpg 450 800 KellyK https://drivetraffic.agency/wp-content/uploads/2018/11/drive-traffic-agency-600x600.png KellyK2019-02-20 08:16:442019-03-11 23:33:18How To: How Many Keywords Should I use on a Landing Page?